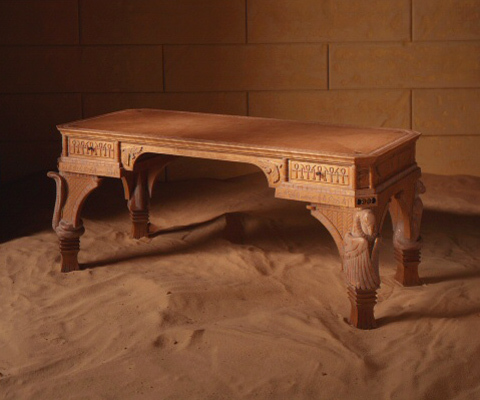 This desk was designed to work within an existing study that had an Art Deco/Egyptian interior. 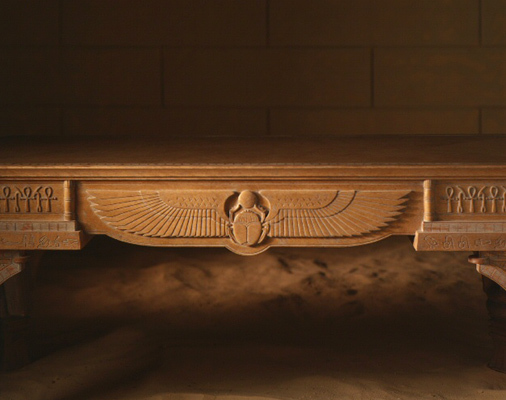 Each hand carved leg is copper leafed and depicts a different egyptian god and surrounding frieze. The hieroglyphics spell out the customers name and designers and artisans involved in this sophisticated project. The desk is made of curly maple, soft maple and basswood.